This facility centralized the operations of nine different national rental car companies, creating a more modern, efficient and environmentally-friendly system of getting air travelers to and from their rental cars. 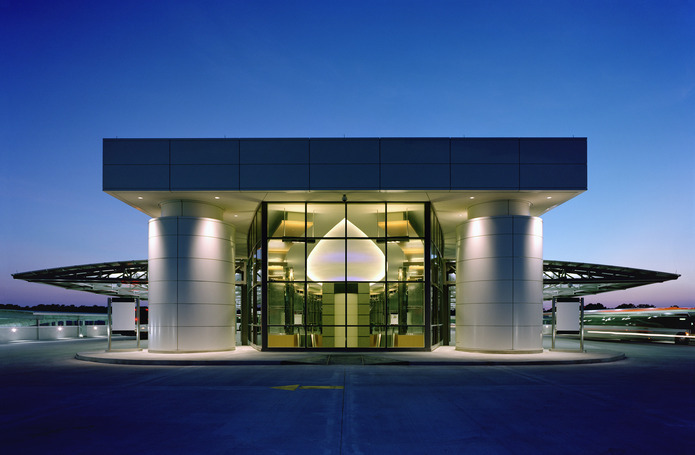 This project consisted of 3 buildings which house the new car rental center consisting of a 102,000sf 2-level customer service building, 1,652,000sf parking garage and 20,000sf bus maintenance facility. The 2-level facility sits on a 140-acre site and included a 30,000sf 4-bay Bus Maintenance Facility, along with a 3,500sf bus wash and fueling station with a 20,000-gallon underground fuel storage tank. 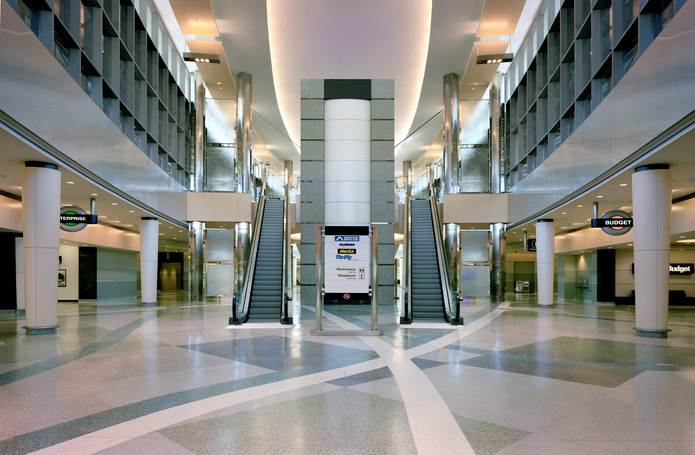 Being constructed adjacent to a busy airport occupied 24/7 this project required extreme caution and attention to safety.